Stock product - detailed vector illustration - Vehicles Isometric Collection - Food Truck 09 - created by Aurielaki. Image formats EPS AI JPG. Espresso Breakfast Coffee Food Truck Delivery Master. Street Food Chef Web Template. 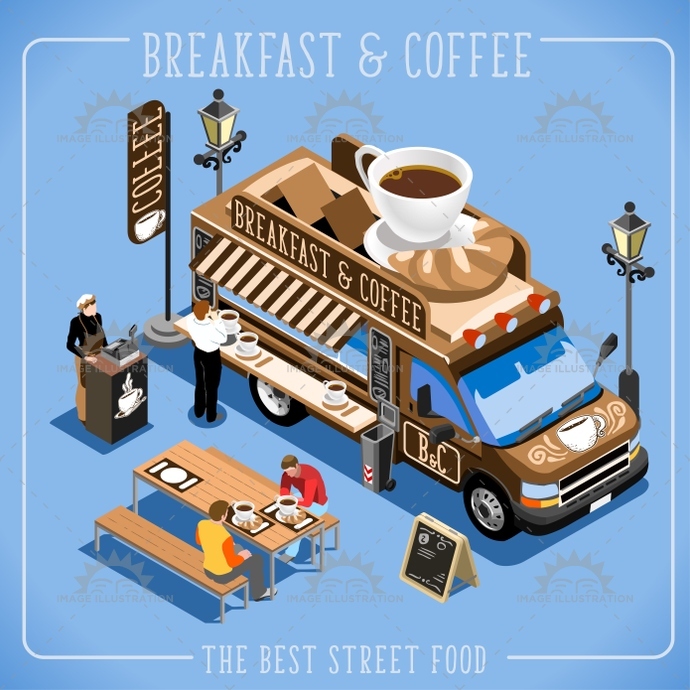 3D Flat Isometric Vehicles Food Truck Infographic Elements Isolated Vector Image. SKU: Food-Truck-09-Isometric-Vehicles-AurielAki. Category: Food Truck Vector. Tags: advertising, amazing, american, app, away, breakfast, bright, business, chef, coffee, company, delivery, diet, easy, eat, elements, espresso, flat, food, icons, illustration, industry, isolated, isometric, Job, just, love, master, meal, morning, passion, quality, restaurant, search, set, street, stylish, summer, sweet, symbol, take, taste, template, truck, usa, van, vector, vehicles, web.